This movie is about a guy named Peter (Rudd) who has just gotten himself engaged. After overhearing his fiance's friends talking about how weird he is for not having any close guy friends, Peter goes on a mission to find himself a man and a lifelong bromance. He encounters Sydney at a real estate open house and the two just click. Sydney breaks Peter from his uptight mold and gets him to try new things and experience life to its fullest- but it becomes more than Peter can handle. I thought this movie was great! I laughed a lot, the humor was unpredictable and it serves its purpose of being a true comedy. 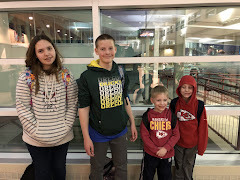 Family Time Factor: It's quite bawdy, so I wouldn't recommend it for any children under 16. It would make a great date night movie! 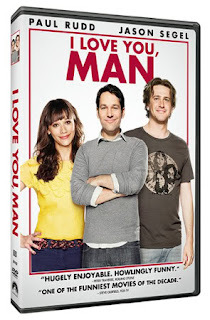 I Love You, Man releases on DVD and Blu-Ray August 11!! !